The curriculum is taught through the medium of the English language. Arabic and other languages are also taught in the school. Support in English is offered through specialist EAL teachers. The school provides a full programme of Arabic language, Islamic and Cultural Studies to meet the statutory requirements of the KHDA. This provision is embedded within the curriculum and available for all pupils. Humanities subjects such as Geography and History are designed and written to reflect the cultural and geographical context of the UAE. Trips and other visits throughout the curriculum make extensive use of the local and regional opportunities in the UAE to enhance the understanding and awareness of the cultural and physical context of Dubai. Language provision throughout the curriculum fully provides for Arabic. The school is initially offering a broad choice of A-level subjects in the Sixth form, but numbers of pupils in the Sixth form are expected to rise quickly and as early as possible we will take the necessary steps to offer the alternative of the International Baccalaureate Diploma Programme. In line with UAE national priorities and the Dubai strategic plan 2021, schools in Dubai are required to incorporate the Ministry of Education UAE Social Studies curriculum standards into their curricula. The rationale for this is to provide pupils with in-depth knowledge, skills and understanding in history, geography and civics, which emphasise the links and relationships between diverse groups, people, science and society. Pupils will contribute, as responsible citizens and residents of the UAE, to the building of a cohesive society that is inclusive of all, while preserving the UAE culture, heritage and traditions . At Kent College Dubai we believe it is important for young people to fully understand the environment that they are growing up in. The Social Studies curriculum explores the people, society and community of Dubai and the UAE. To instil ethical outlook by teaching pupils ethical values such as tolerance, honesty, integrity, dignity, respect and humility. To encourage and enable pupils to become engaged members of the school and wider communities. To teach pupils about local and international culture. The Moral Education curriculum is taught in a progressive series of units with each unit being assessed. 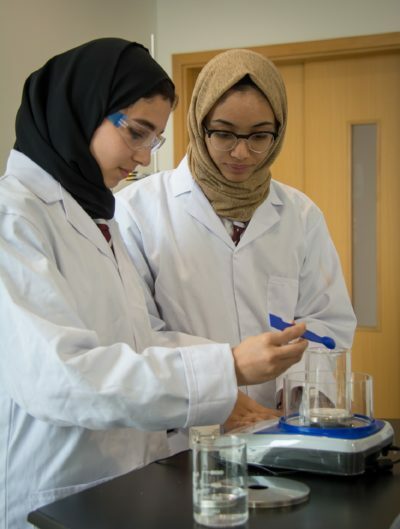 Kent College Dubai offers a supportive and inclusive learning environment, welcoming pupils with a variety of strengths and needs. Where pupils face specific challenges, we encourage them to be proactive and take risks, to learn from their mistakes, to ask for help and provide support for others. However, teaching staff at Kent College Dubai understand the need to be responsive to the individual learning needs of their pupils and the primary role of the Learning Support Department is to help them to do this as effectively as possible. The Learning Support Department supports pupils from all age ranges across the school. The continuity of support offered to pupils throughout their time at school enables us to know them as individuals and develop a full understanding of their strengths, difficulties and potential. Wherever possible, the Department supports class teachers to promote inclusive teaching within the classroom. We also provide focused interventions where necessary and, after liaison with their teachers and appropriate assessments, pupils may be allocated time within the Department where they follow structured schemes tailored specifically to their needs. Some pupils come to the department in small groups, some for one-to-one lessons and some are supported in the classroom. As well as help with literacy and numeracy skills, we also support the development of revision skills, social skills, working memory and fine motor skills. Pupils and parents are encouraged to share any concerns with the Department and parents are continually informed of the progress their child is making to help ensure that he/she achieves their full potential.